December 27th in WordPress Themes by Wordpress Jedi . Many business owners use WordPress to promote their business and generate leads. Some are using it to sell products online. Your job as a business owner does not end when you sell your goods or services. You should also provide support for your products and gather feedback for future improvements. Creating a support / feedback community for your business is a wise idea. Ideas for WordPress is just the theme you can use to put that together. 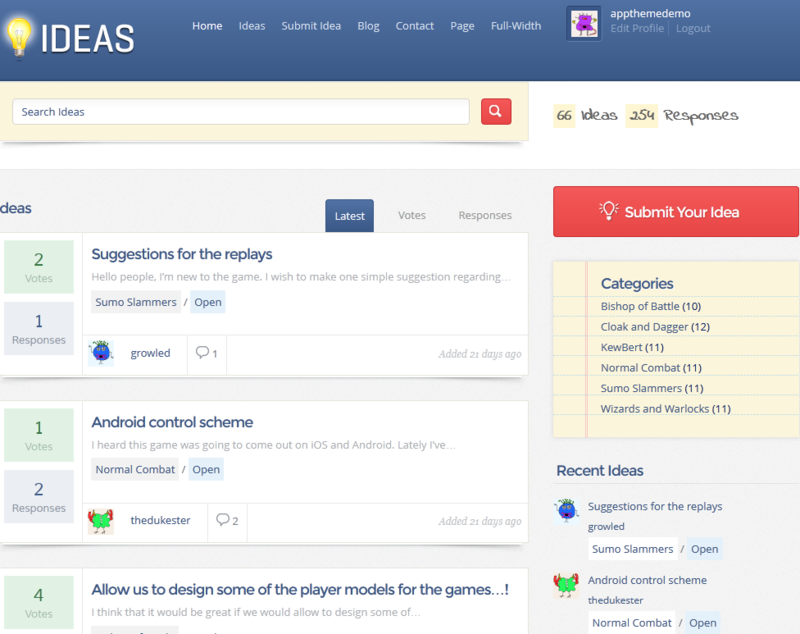 Ideas for WordPress is developed for businesses interested in gather feedback from their customers. It has everything you would need to moderate ideas. Backend ideas and user listings can be customized. The theme supports threaded comments. Ideas are sortable and filterable. 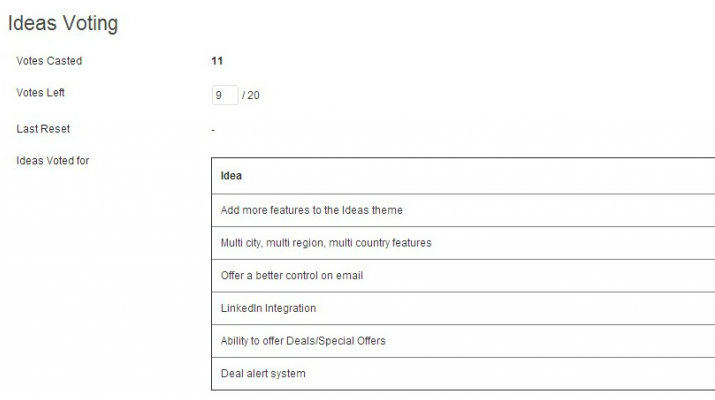 Custom widgets such as Submit Idea Button, Stats, and Voters are included. The theme has extended user profiles. 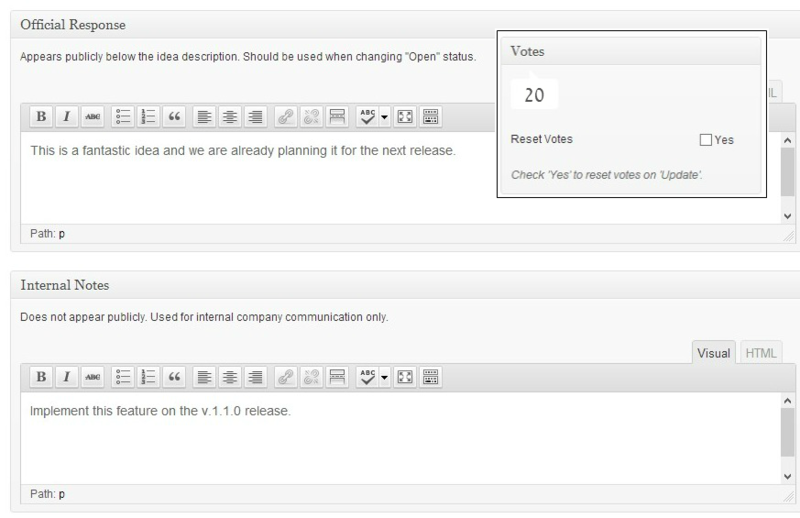 Your users’ votes and lists of ideas they have voted for are displayed. Admins could always reset the stats. Ideas can be edited conveniently as well. The fact that the theme is AJAX and jQuery enhanced is a plus. Ideas for WordPress is decent looking and could work great for customer feedback sites. Running those types of sites takes a lot of work. So you want to make sure you have the proper resources to handle the job.